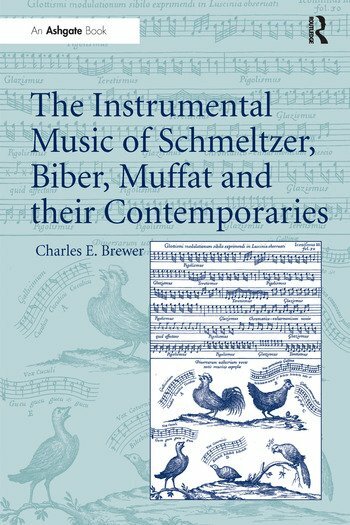 Based on primary sources, many of which have never been published or examined in detail, this book examines the music of the late seventeenth-century composers, Biber, Schmeltzer and Muffat, and the compositions preserved in the extensive Moravian archives in Kromeriz. These works have never before been fully examined in the cultural and conceptual contexts of their time. Charles E. Brewer sets these composers and their music within a framework that first examines the basic Baroque concepts of instrumental style, and then provides a context for the specific works. The dances of Schmeltzer, for example, functioned both as incidental music in Viennese operas and as music for elaborate court pantomimes and balls. These same cultural practices also account for some of Biber's most programmatic music, which accompanied similar entertainments in Kromeriz and Salzburg. The many sonatas by these composers have also been misunderstood by not being placed in a context where it was normal to be entertained in church and edified in court. Many of the works discussed here remain unpublished but have, in recent years, been recorded. This book enhances our understanding and appreciation of these recordings by providing an analysis of the context in which the works were first performed. Contents: Preface; Stylus Phantasticus and Stylus Hyporchematicus: concepts of instrumental music in late 17th-century Central and East-Central Europe; Johann Heinrich Schmeltzer (c.1620/23-80) and music at the Viennese court; The chapel of Prince-Bishop Carl Liechtenstein-Castelcorn; Biber and Muffat at Salzburg; The dissemination and dissolution of the Stylus Phantasticus; Appendices; Select bibliography; Index. Charles E. Brewer is Associate Professor of Musicology at The College of Music of The Florida State University and Director of the Early Music Ensembles. His research interests have focused on the broader questions of music and culture both during the Middle Ages and Baroque period. Beginning with his dissertation on the music of medieval Poland, much of his published work has been focused on the early music of Central and East Central Europe. He has worked in many of the archives and libraries in the Czech Republic, Hungary, Poland, and Slovakia with the support of the Fulbright-Hays Commission, the International Research and Exchanges Board, the Martha Baird Rockefeller Fund for Music, and the National Endowment for the Humanities. He is also an avid performer on early keyboard instruments and is currently editing a number of unpublished sonatas by C.P.E. Bach.